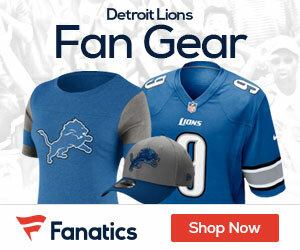 A relative of Lions safety Louis Delmas has received probation for brandishing the player’s gun at people in another vehicle while driving with Delmas according to the Associated Press. Twenty-year-old Ravelle Sadler of Cincinnati was arrested before dawn Dec. 21 after three teens in another vehicle said another driver threatened them in Wayne County’s Canton Township. Police say the car with the teens pulled up next to Dumas’s vehicle, with one teen wearing a Halloween mask. They say Sadler then brandished the gun. Delmas had a concealed weapon license. Sadler pleaded guilty last month to felonious assault.